We break our Futures trading education instructional material down into three sections for different commodity trading experience levels: Beginner, Intermediate, and Advanced. A beginner in commodities trading is somebody who wants to get involved in commodity futures trading but doesn't know the details of how contracts, markets, and exchanges work. People like this may be doctors, lawyers, businessmen, etc. who are looking for a way to diversify their investment portfolio or plan to become active day traders. This section breaks down the difference between the two main ways to get involved in futures trading, broker assist and day trading, and leads you through instruction on what futures trading is. Day Trading Futures 101 - the first article you should read if you are interested in futures trading. 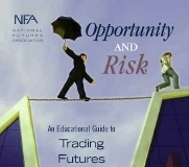 Opportunity and Risk - a 49-page report put out by the National Futures Association as an education guide to trading futures and options on futures. We provide it in PDF form. Top 50 Futures Trading Rules - the most popular answers to a survey of more than 10,000 futures traders. This is good to read once you have a fundamental grasp of futures trading. A glossary of futures terms put out by the National Futures Association (NFA), which we provide in PDF form. This is meant to be a reference guide for you as you come across terms you don't understand. Somebody who is an intermediate in commodities trading is somebody who understands the fundamentals of the futures trading market and has some basic experience with it. They may come from either a broker assist or a day trading background, and may have either short or long-term goals. This section is designed to give them a view of the more technical aspects and indicators of the futures trading market. If this is your experience level we recommend you take a look at the in-depth coverage that the Intermediate section contains, and there is a summary of its material below. You can jump directly to a specific article by clicking it in this list, or you can go to the Intermediate section and browse them all from there. 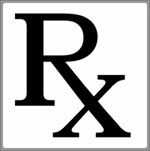 Day Trading Rx - a list of steps to take to refine and tighten up your day trading. What's your futures trading blood type? - a PDF of an original e-book that is the result of decades of working with traders with a wide array of personalities, schedules, risk capital, and all trading in a variety of markets. We take these observations and put them into an easy to read publication that may help you discover your blood type and trading diet. Buying Options on Futures Contracts - a 27-page report put out by the National Futures Association as a guide to the uses and risks of options trading. Futures Options 101 - a PDF of a collection of strategies and a guide to trading futures options. Key to Futures Trading - a letter about what the key to successful trading is in their opinion. Somebody advanced in commodities trading is most likely somebody who currently or recently day traded futures contracts, and understands the technical aspects of the market. This section is designed to give this type of person exposure to techniques and practices of other advanced traders to add to their knowledge. If this is your experience level we recommend you take a look at the in-depth coverage that the Advanced section contains, and there is a summary of its material below. You can jump directly to a specific article by clicking it in this list, or you can go to the Advanced section and browse them all from there. 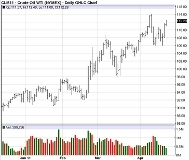 Weekly Futures Trading Newsletter - a newsletter published once a week that contains the latest futures market news. Daily Futures Trading Blog - daily support and resistance levels reports sent out at the end of each trading day. One way to eliminate fear and greed while day trading - a report published in-house to address some of the trader's worst enemies. It focuses specifically on the drawbacks of entering multiple contracts. Page 1 of Futures Trading Chart Patterns - a collection of market movements to watch out for, and how to interpret them. Page 2 of Futures Trading Chart Patterns - more market movements to watch out for, and how to interpret them. Sharpening Your Futures Trading Skills: Tools The Winners Use - a PDF of an e-book by successful futures trader, Jim Wyckoff.